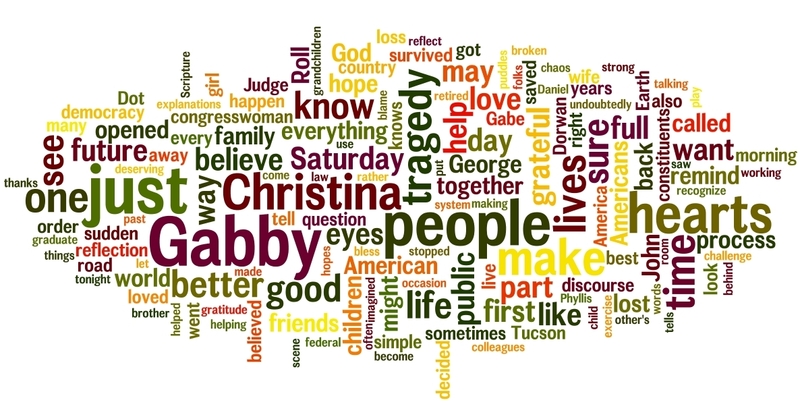 As part of a series of Wordles on language used by public speakers and in public documents (useful for language study in English as well as in subjects such as History, CSPE, Economics, Religion and so on), here is a word cloud of the text of President Obama's well-received speech in Tucson, Arizona, yesterday. Click on the image for a closer look. You can see and hear the speech itself below. 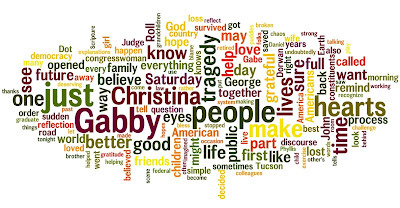 There's also a fascinating comparison to be made with Sarah Palin's controversial 'blood libel' speech (again, click for a larger view).